The Thudbuster seatpost from Cane Creek is the most effective and versatile suspension seatpost available. Our parallel-link technology provides a clear advantage in traction, comfort and control without sacrificing performance. With a range of elastomer spring rates, the Thudbuster is tunable to match your weight and riding preference. Design has none of the stiction of telescoping posts, delivering continuously responsive travel to increase performance and comfort. Forged linkage rides on widely spaced bushings to increase lateral stiffness and deliver stable performance. 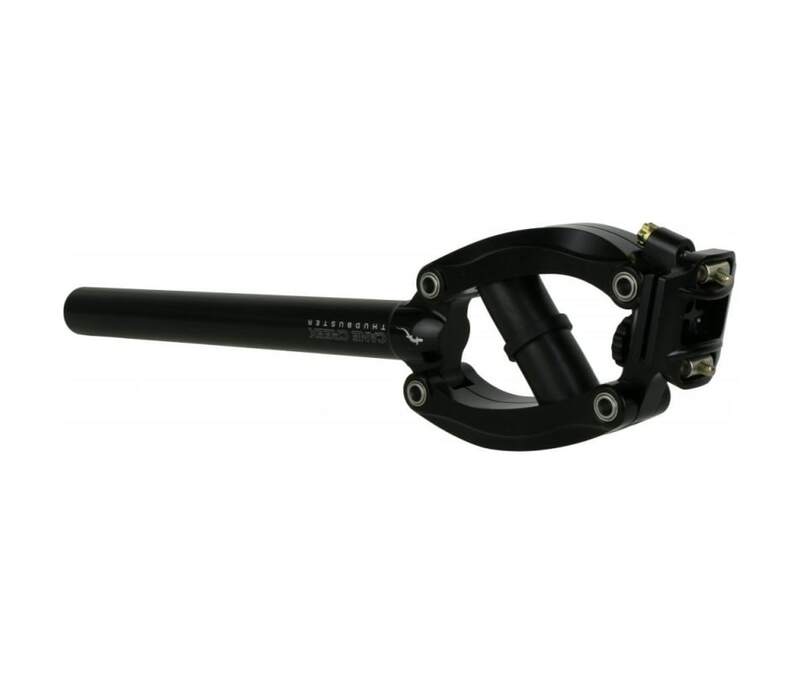 Split linkage arms enable ease of disassembly and simple bushing replacement.